I am working on some wagons for Malifaux for a story encounter. I can do the wagons, that is no real issue, but the horses… Well, I am not good enough at sculpting to “whip out” a dozen or so that look all that good. 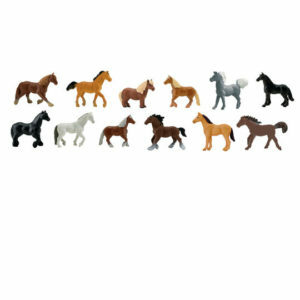 While gathering supplies for the wagons at Michael’s I ran across “Safari Ltd TOOBS Horses”. I keep a slip of paper in my wallet with the height of a Malifaux model’s top of head as well as bottom of head. Using the larger Orderly from the Malifaux Starter Set gives me a good range of large and small models. I keep this so I can compare random finds to models to decide if it is worth the trouble to get the thing-that-might-be-cool. I am now wondering if any of the others from Safari might work. Those that I saw were all over the place, but who knows? « Previous post link How Does A Game Group Die?